So, we’re just going to go ahead and say the thing you’re not really supposed to admit out loud: Brandie and I aren’t exactly Clint Eastwood fans. Important? Yes. Iconic? Doubtless. But we really just can’t get into the films. Sorry, Mr. Eastwood. I congratulate you on your success, but the films don’t do much for me. I may watch a few of them, just for culture. 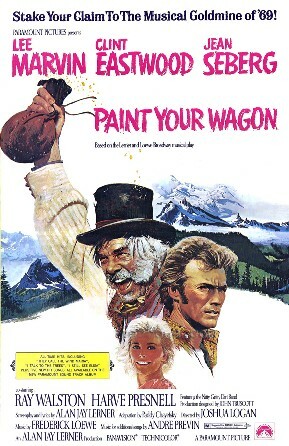 We picked Paint Your Wagon because the notion of Clint Eastwood doing this film is hilarious for anyone who has been around and paid any attention to film or popular culture ever. It’s a musical. It’s silly. I mean, Paint Your Wagon? It’s a long way from Dirty Harry. That’s funny. And I give Clint Eastwood props for versatility. I applaud you. Plus, any time The Simpsons chooses to parody your film, it only makes us appreciate it more. So, I’ll probably DVR Paint Your Wagon, even though it doesn’t have an inebriated equine to speak of. Uh-oh … it’s one of those monthly experiment-type things. My parents have had this film around in one form or another for years, but I have never watched it. I even remember the Simpsons parody. As far as the westerns go. Try Two Mules For Sister Sara. It’s very approachable and funny. Thanks for the recommendation. Westerns are just somewhat inaccessible. Something about guns and Indians and horses and cattle and vengeance … it just doesn’t add up to entertainment for me. I’ve tried watching The Searchers, but got frustrated with John Wayne’s character when the movie wasn’t even half over. And I thought High Noon was kinda boring. I do like Shane, though, if that counts in the genre. Shane counts. I’m sure there are plenty of westerns that you would like. It would just take some thinking. 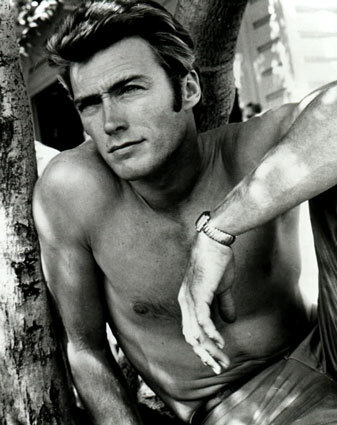 Clint Eastwood in 1969. Wonder how he looked in a suit back then!